nine + one = ? 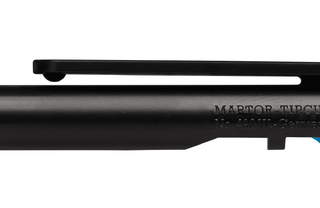 Even something like this is available at MARTOR: Just as in the case of a ball-point pen, you press the pusher at the top – and the blade comes out at the bottom. 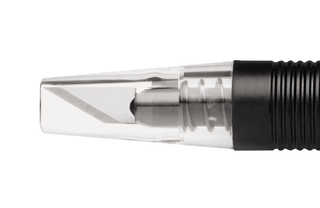 Since the GRAFIX TIPCUT can be guided just as accurately as a pen, it is suitable for all delicate and sophisticated cutting work. For example, for cutting through paper, foil or textiles. Similarly, you can sink the blade back into the handle by pressing the pusher. It cannot get easier than this. Regardless of whether you are cutting, improvising or deburring – after completing the work you can retract the blade completely into the handle. It even remains there. Until you use it the next time. You can replace the blade like the refill of a ball-point pen. Unscrew the grip below, remove the securely inserted blade and replace it. You do not need any tool for this purpose – merely a few seconds. The GRAFIX TIPCUT is characterised by its light weight and ease of use. It has a round grip and is provided with small grooves in order to give you a better hold. 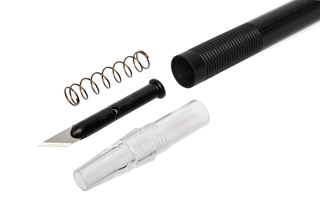 Here, too, it is similar to a ball-point pen: You can fasten the GRAFIX TIPCUT easily and securely to your clothes. Caution: First retract the blade!